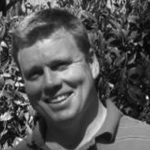 Peter grew up on a cattle property in NSW and has a Bachelor of Rural science from the University of New England (UNE). Peter was a member of the UNE meat judging team in 2002 and was selected on the 2003 Australian ICMJ team that competed in the USA. Peter coached the UNE meat judging team to success in 2003 and 2004. Following university Peter travelled and also worked at Elders Killara feedlot for a year before moving to Perth WA to complete a PhD at Murdoch University on ‘Selection for muscling affects carbohydrate and fatty acid metabolism in beef cattle’ with the Beef CRC. Peter then held a post doctorate research position at Murdoch University with Meat and Livestock Australia working on beef eating quality projects, MSA optimisation and the development of the MSA Index. Following this, he held the position of lecturer in Animal Production Science at Murdoch University and undertook research into factors along the supply chain which impact the eating quality of beef and lamb plus the measurement of carcass yield. In 2017, Peter joined the University of New England. Peter is passionate about the future of the red meat industry for the next generation. Demi is from Grafton in the Northern Rivers of NSW were her family ran a beef breeding operation in the upper Clarence area. She competed with the 2002 University of Queensland Gatton team and coached the 2003 team prior to graduating with a Bachelor of Applied Science (Animal Science) degree. After working in the Meat Industry for a number of years, primarily in beef processing, Demi joined Meat and Livestock Australia 7 years ago as the Meat Standards Australia (MSA) Project Officer for Eating Quality Implementation. In this role she worked with Producers & Processing Plants right through the supply chain to end users ensuring implementation and compliance of the MSA program. Based in Armidale, NSW, Demi is now the Value Chain Relationship Manager, working directly with the Livestock Data Link Program. Demi is also passionate about educating the next generation to engage and retain them within the Australian Red Meat Industry and is actively involved with our Junior contests. Demi is the immediate past coach of the Australian national team, guiding and mentoring 20 students over 4 years, on a month long industry tour of the US. Tim comes from Baynton, in central Victoria, where he grew up on a family sheep property. Tim was a member of the University of Melbourne meat judging team in 2012 and was selected to join the Australian National team which competed in the US in 2013. Subsequently, Tim coached the 2013 University of Melbourne team and the Australian National team from 2016-2018. 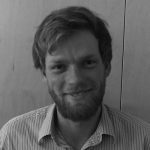 Tim currently works for Meat and Livestock Australia as a Market Insights Analyst, specialising in market research and Australian beef and lambs market positioning in Europe and South-east Asia. In 2013 Hamish completed a degree in Animal and Veterinary Bioscience, during which he competed for the University of Sydney and then travelled to the US with the national team in 2014. He is currently working with Bindaree Beef Group, responsible for their branded MSA and grain fed beef programs within the national retail, foodservice and wholesale markets. 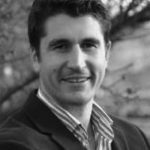 Hamish was previously with Rivalea Australia in commercial roles spanning across retail, wholesale and manufacturing, as well as working with Archer Daniels Midland as a part of their animal nutrition team covering Australia and New Zealand. Ben is originally from a cattle property near Tamworth, NSW. He completed a Bachelor of Rural Science at UNE in 2008, and competed in the UNE / Australian ICMJ team in 2007. During University he was on a six-year cadetship with Twynam Pastoral Company, before travelling and working overseas from 2010-2012. 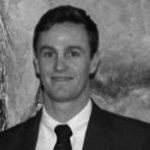 Ben then spent five years at Meat and Livestock Australia, starting as a Market Analyst, and finishing as Chief Economist / Market Information Manager. 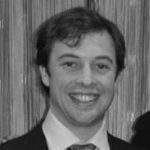 Ben transitioned into the banking industry in October 2017, and currently holds the position of Senior Finance Manager at RaboBank. Kiri is originally from the south coast of NSW and completed a degree in Animal and Veterinary Bioscience at the University of Sydney in 2008. From 2010 to 2018 Kiri worked for the Department of Agriculture and Fisheries as a livestock officer, based in far north, southern and western Qld regions. 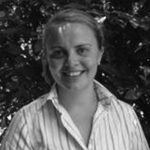 In 2018 Kiri joined Teys Australia in central Qld, working in Livestock Strategic Operations. Kiri enjoys working with producers in the red meat industry and in particular, assisting them to better meet market specifications and improve meat quality through on-farm management practices. Kiri is keen to see more young people join the red meat industry. 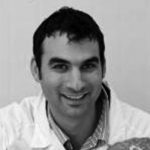 Michael is a lecturer at Charles Sturt University at Wagga Wagga and is currently completing a PhD with the Future Dairy group at the University of Sydney. Along with his wife and 3 children he runs a commercial cattle operation near Adelong. He has an MBA from UNE and a BScAg from The University of Sydney. Michael competed at the 2001 ICMJ competition and was a member of the winning team from the University of Sydney. Michael has previously been the manager of a fully integrated cattle operation in PNG and worked as a Beef Cattle Extension Officer and in rural finance. Despite not growing up with a farming background, Nick quickly developed a love for all things agriculture. This lead him to complete his Bachelor of Ag. Science at Adelaide University in 2013. It was during his studies he discovered meat judging and was fortunate to be a part of the 2014 ICMJ national team. Nick has since coached 2014-16 Adelaide meat judging teams and completed his honours on ” Understanding the causes of dark cutting on pasture raised beef in south east south Australia”. Nick has been fortunate to see a large cross section of industry, working from abattoirs and live export depots to full time shearing. He is very passionate about the Australian goat industry and is currently running his own livestock enterprise whilst freelancing within meat research and live export fields. Rozzie O’Reilly grew up on a small sheep and cattle enterprise in southern NSW. She completed a Bachelor of Animal Science at the University of New England (UNE) in 2014, and went on to work in the feedlot industry for two years. 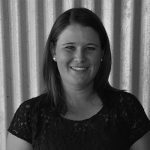 Rozzie now works for LAMBPRO, Australia’s largest prime lamb seedstock business, as their Breeding Manager. Rozzie competed for UNE in 2012 and was fortunate to be selected as a member of the 2013 Australian ICMJ team. She also co-coached UNE ICMJ teams throughout 2013 and 2014. Sarah grew up in Adelaide, before relocating to Western Australia to study Veterinary Science at Murdoch University. Here she developed a passion for the red meat industry as a member of Murdoch meat judging team, competing in the 2008 ICMJ competition. Following graduation, Sarah worked as a cattle Veterinarian in south west Victoria, before returning to Murdoch University in 2012 to begin a PhD investigating the “influence of pre-slaughter stress on lamb meat quality and carcass yield”. 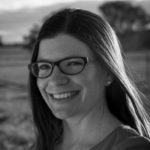 Since then, Sarah has coached the Murdoch meat judging team and most recently has signed on as a Post-Doctoral Fellow in Meat Science. Sarah is passionate about increasing the capacity of the red meat industry by engaging and educating students from veterinary and agricultural sciences. In 2014 Ethan completed his degree in Animal and Veterinary Bioscience, during which he competed for the University of Sydney at ICMJ and then began his traineeship as a Livestock Buyer for Teys Australia in 2014. During the years 2015 to 2017, Ethan worked as the Livestock Manager for Teys Australia at their processing facility in Rockhampton, Queensland. Currently with Teys, Ethan has transitioned into the General Manager for their Biloela plant, also based in Central Queensland. 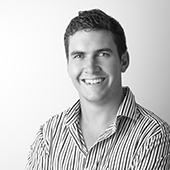 Ethan has also completed his degree in Business, as well as recently graduating from Edith Cowan University with his MBA. 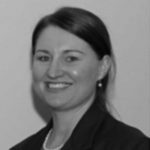 Melanie grew up on the South Coast of NSW and completed a Bachelor of Animal and Veterinary Bioscience at the University of Sydney in 2012. Melanie has always had a passion for the livestock industry and it was during the final year of her studies that she participated in the 2012 ICMJ competition and developed a keen interest in the red meat industry. 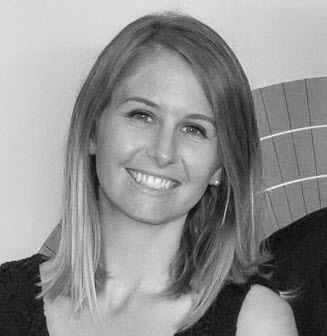 Melanie has coached and assisted The University of Sydney ICMJ team since 2014 whilst she was conducting her PhD which investigated factors impacting alpaca meat quality from the farm through to the fork. Melanie is currently a Research Associate at the University of Sydney in the area of animal production and meat science. Melanie enjoys working at the interface between research and the meat supply chain and is passionate about engaging and educating the next generation about the red meat industry. Melanie is actively involved in the ICMJ junior contests. Maria has always had a strong appreciation for agriculture and rural life having grown up on her family’s beef cattle property in Tenterfield, NSW. Maria graduated with a Bachelor of Rural Science and a Master in Agriculture from UNE. In 2002, Maria was a member of the UNE Meat Judging Team. Since 2011, Maria has operated AgSTAR Projects, a project management consultancy firm. Previous roles include managing the animal health, welfare and biosecurity portfolio for Sheepmeat Council of Australia, working as a consultant for a private agricultural PR & marketing company and being employed as a BREEDPLAN Consultant. Maria and her husband own a beef cattle enterprise in Coonabarabran, NSW and are currently living Katherine, NT.